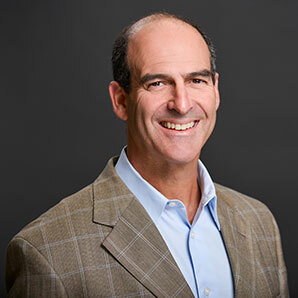 Andy Steingold is a Partner and Senior Trial Attorney with Maney|Gordon, who practices in the areas of Medical Negligence, Nursing Home Abuse, Wrongful Death, Products Liability and Personal Injury. Mr. Steingold is an active member of this community and has served on the Pinellas Planning Council, Metropolitan Planning Council, Pinellas Charter Review Commission, Emergency Medical Services Advisory Council, Pinellas Prescription Drug Abuse Council, Suncoast Transit Authority (PSTA) and Gulf Coast Jewish Family Services Board. Mr. Steingold served as the Mayor of the City of Safety Harbor from 2005 through 2017 during which time he was elected by his political peers as President of the Pinellas County Mayors Council. Mr. Steingold is a Native Floridian who grew up in Sarasota, Florida and later attended the University of South Florida where he earned a Bachelor of Arts in Psychology in 1983. He continued his education at Cumberland Law School where he earned his Juris Doctorate in 1987. After earning his law degree, Mr. Steingold served as an Assistant State Attorney with the Hillsborough County State Attorney’s Office and then practiced in the area of Criminal Defense and Family law. Thereafter, Mr. Steingold shifted his focus to injury cases. For nearly 20 years, Mr. Steingold has exclusively represented victims of nursing home abuse, medical malpractice, auto accidents, premises liability and products liability. In addition to practicing in the courtroom, Mr. Steingold authors articles for CityScape Magazine and Top of the Bay Journal and speaks at local civic functions for a variety of community-based organizations. Mr. Steingold was recognized by the City of Oldsmar and honored with the Council/Manager Award of Recognition for fostering intergovernmental relations amongst neighboring cities.